October has finally arrived and it’s time to start planning who you’re going to BOO this year! You’ve Been BOO’d is a fun Halloween tradition that takes place across many neighborhoods each year. 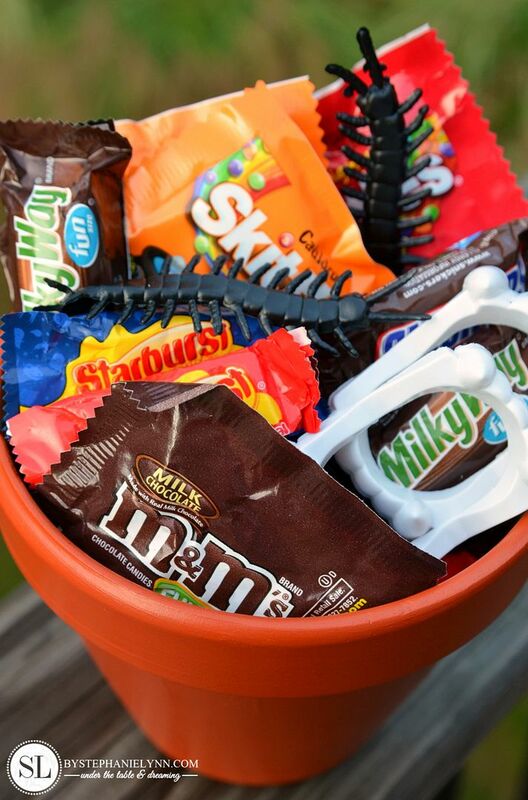 This family-friendly gift giving game begins by secretly leaving treats upon a neighbor’s doorstep, along with a special letter for that family to #BOOItForward. 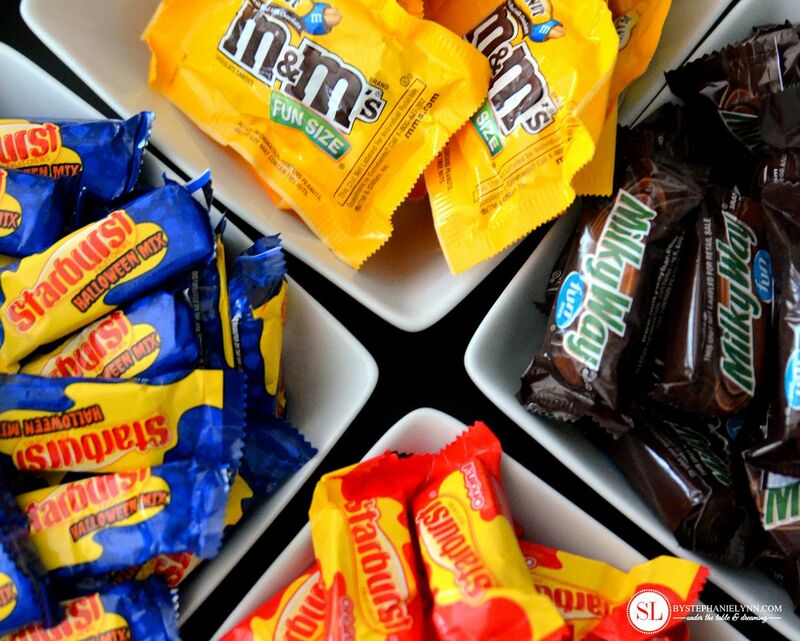 As each family participates in this simple gesture, Halloween spirit is spread door to door, creating a tradition the whole neighborhood can enjoy! 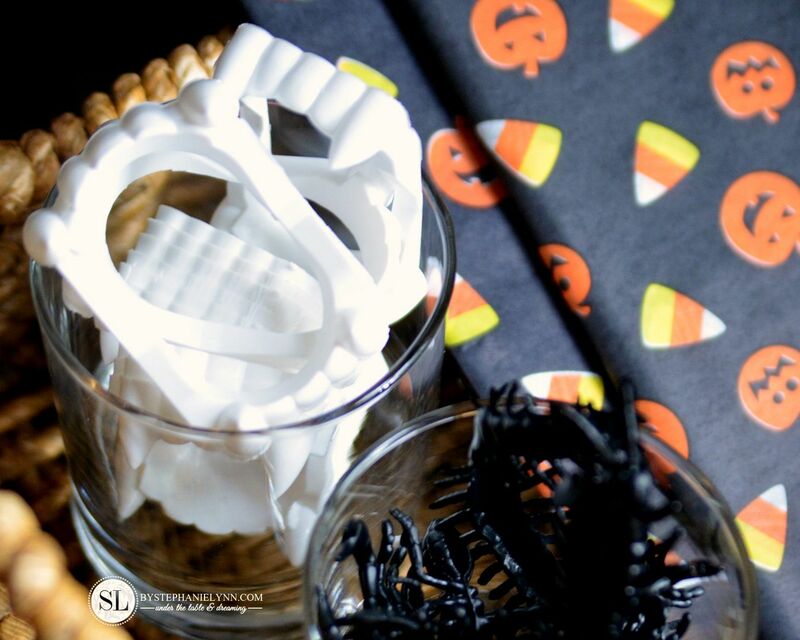 The girls love to gather for crafting parties, so this year we put together a fun crafternoon for each guest to create a BOO Kit to kickoff the tradition in their own neighborhood. 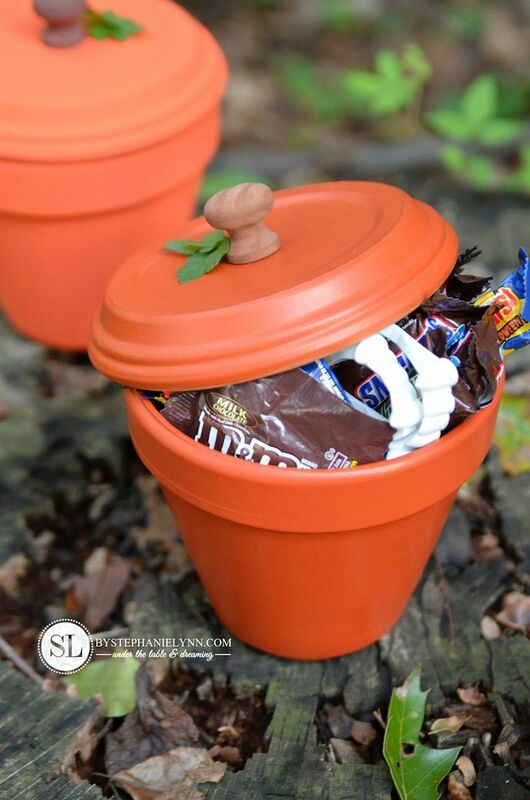 Putting a crafty spin on the traditional BOO, we put together Terra Cotta Pumpkin Candy Jars and filled them with tasty treats from the candy bar. 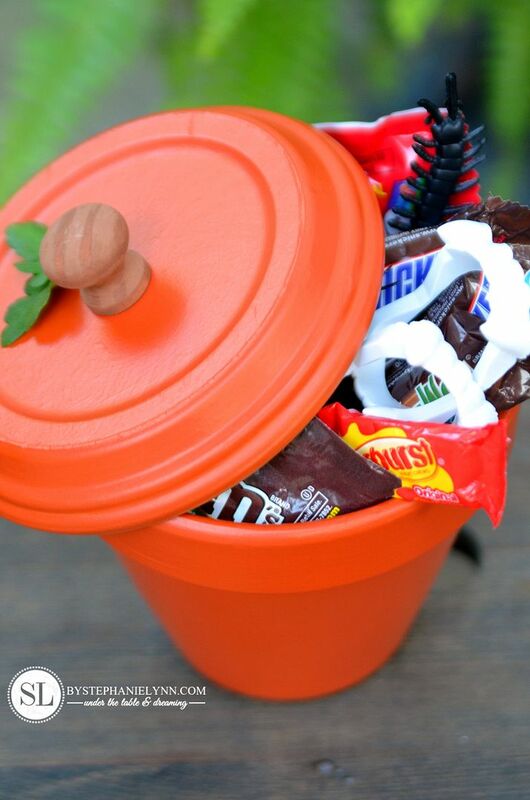 Below you will find the complete party set-up, the directions for our Terra Cotta Pumpkin Candy Jar BOO craft, a fun recipe, and some free printables to host your own crafting BOO Party! 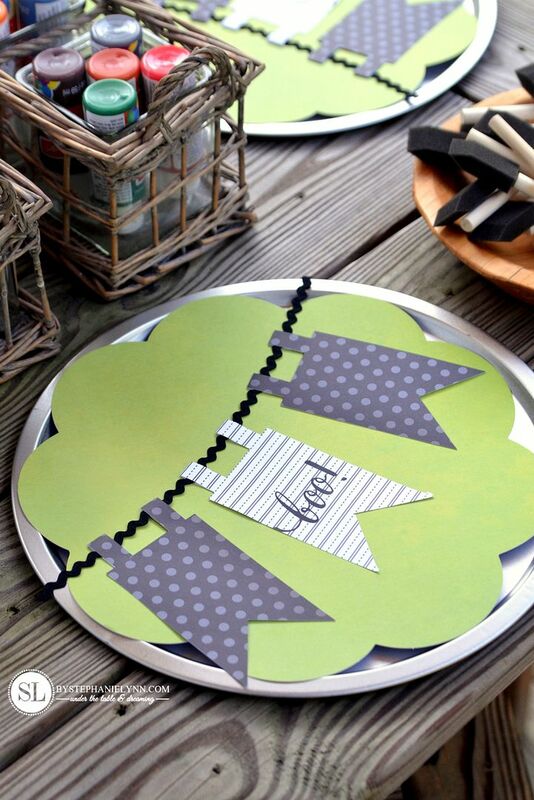 Inexpensive pizza pans anchored each place setting. 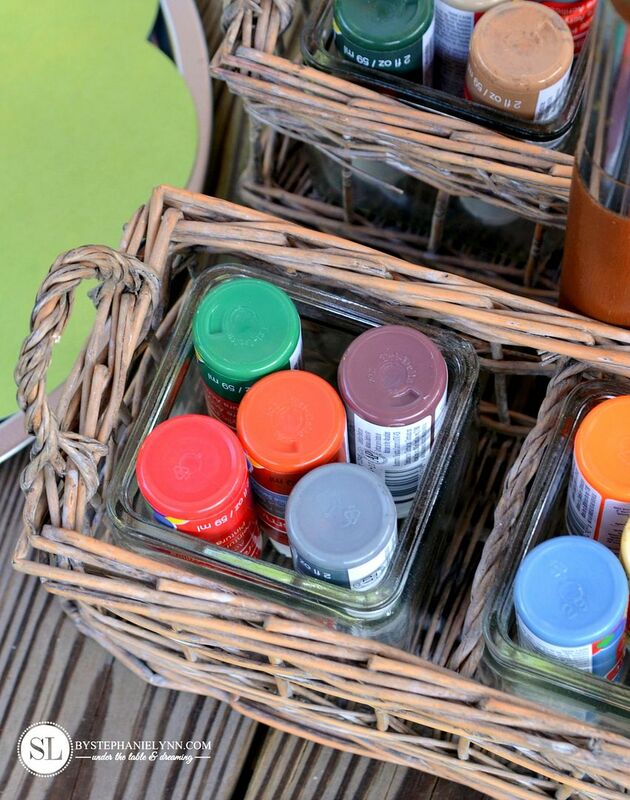 The pans not only create a nice solid workspace for each guest to craft, but help keep any mishaps at bay. 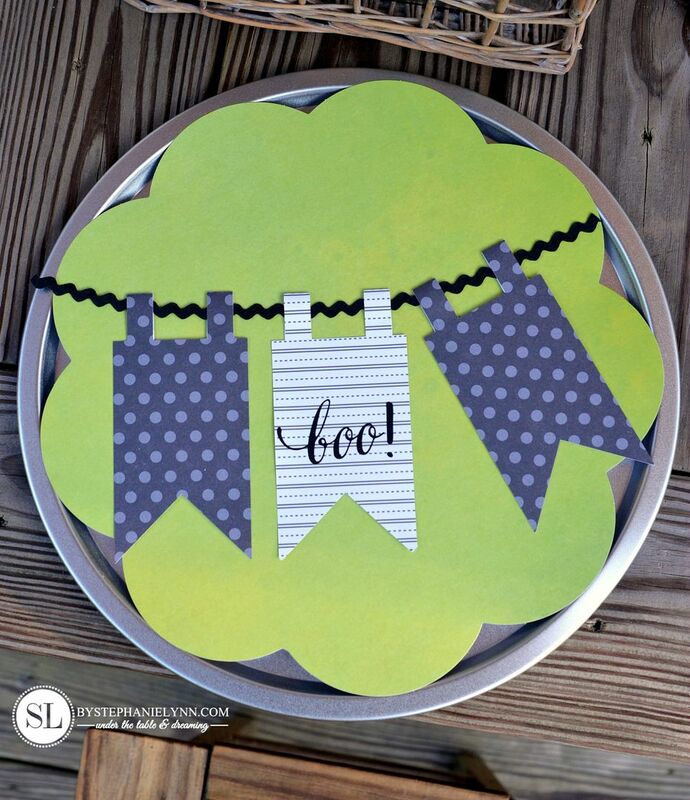 The pans were topped with a piece of cardstock and a decorative BOO Banner to set the theme. 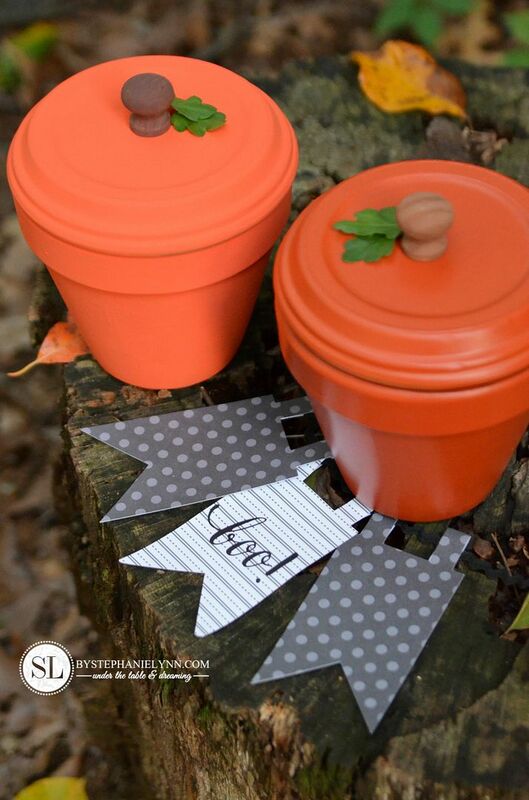 The Terra Cotta Pumpkin Candy Jars require just a few simple crafting supplies. 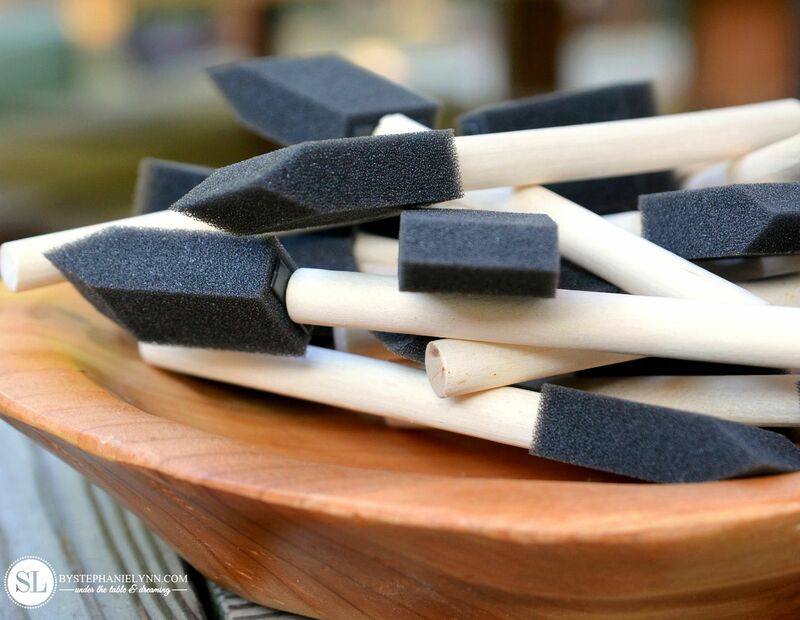 … foam brushes and some glue. 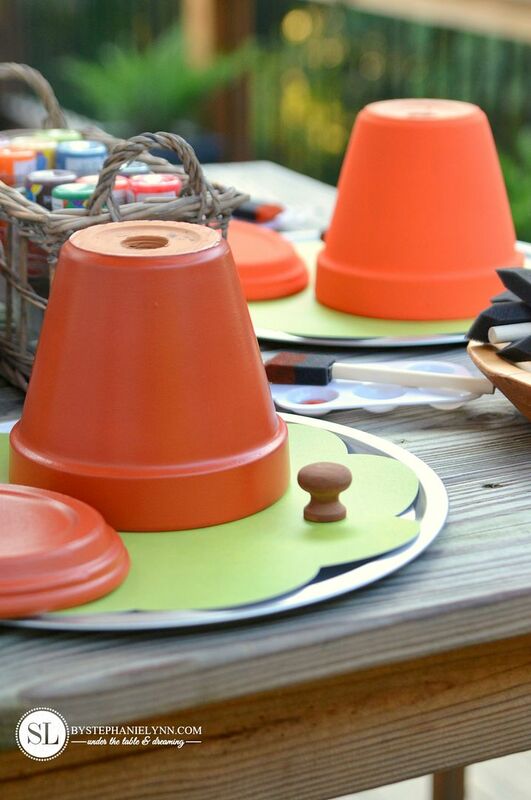 Step One: Paint the terra cotta clay pot and saucer and wooden knob. Step Two: Glue the wooden knob to the bottom of the saucer to create the lid. Step Three: Add faux leaves to the top of the saucer (optional). While the Pumpkin Candy Jars were drying, we assembled a sweet little tasty treat. 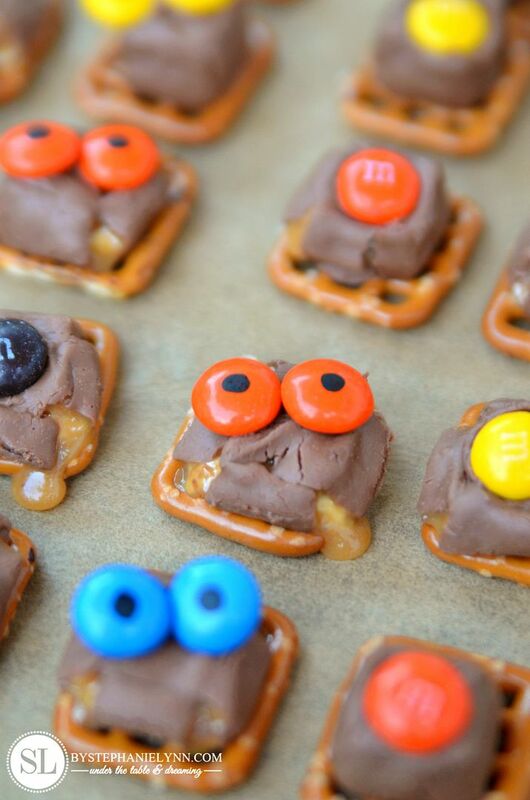 Pretzels topped with SNICKERS® and M&M’S®. 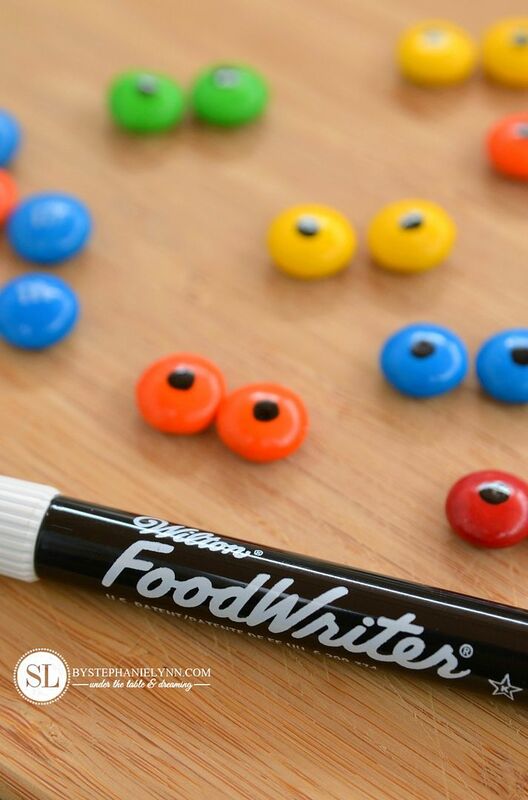 For a seasonal touch, eyes were drawn on the M&M’S® with an Edible Foodwriter Marker. 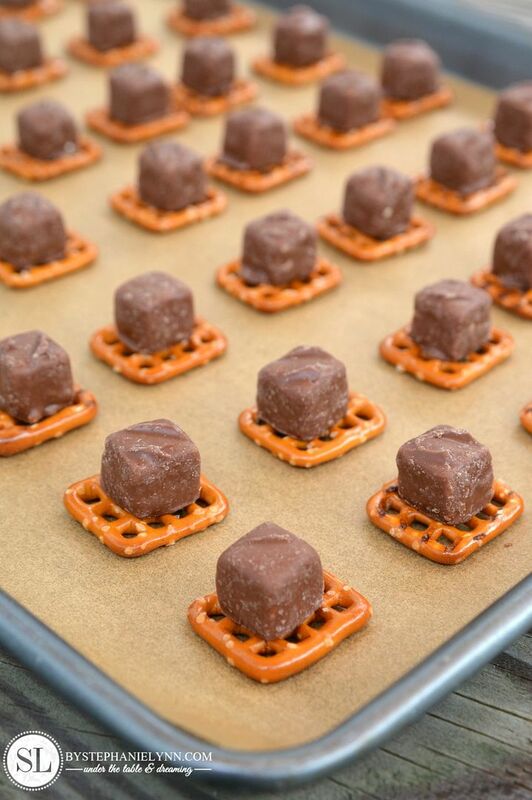 Layout the pretzels on the baking sheet and place one SNICKERS® Bite in the center of each pretzel. 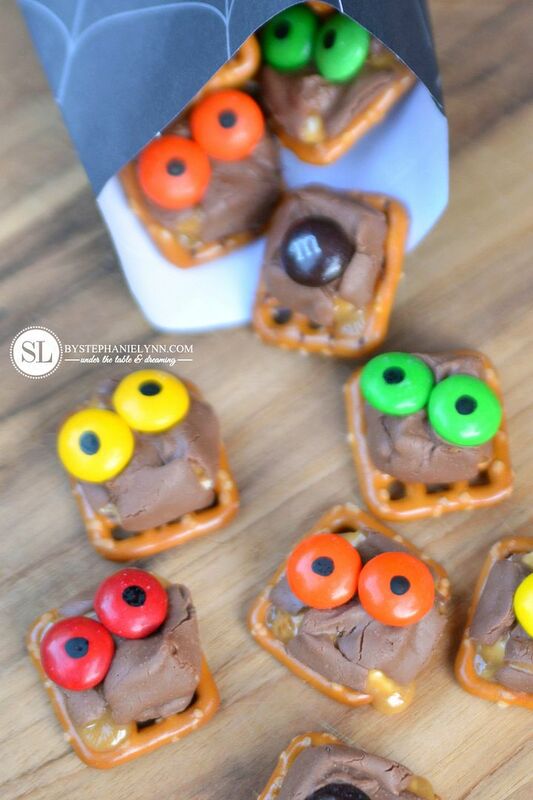 While the pretzels are baking, use the FoodWriter to draw eyes on the M&M’S®. 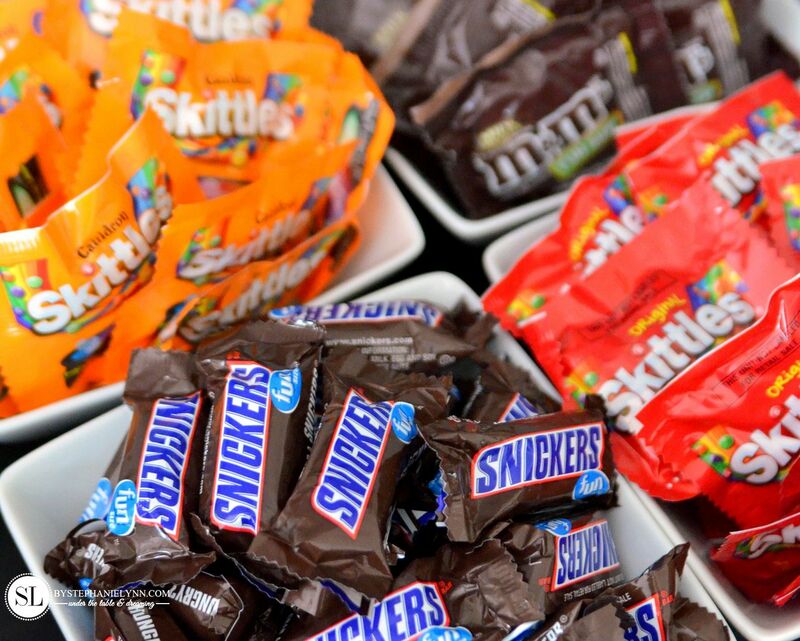 Immediately remove the baking sheet from oven and top with M&M’S®. Let cool for 30 minutes, or until the chocolate and caramel re-set. 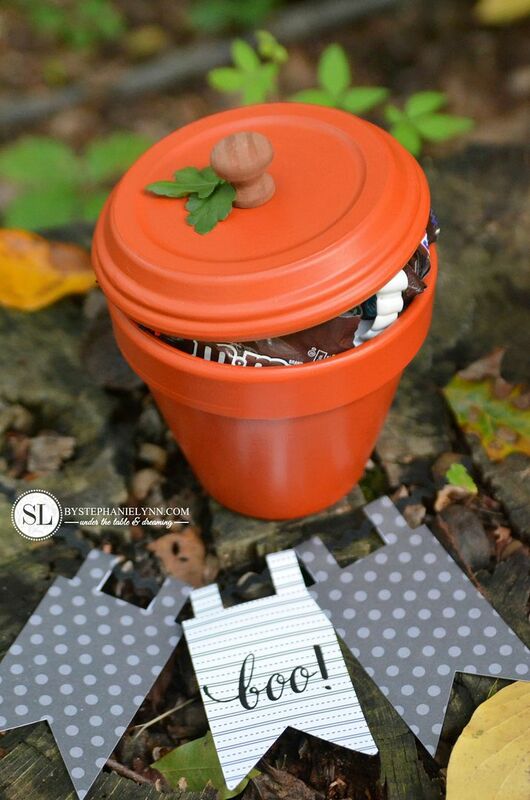 Once the Terra Cotta Jars were dry it was time to fill them with the goodies! 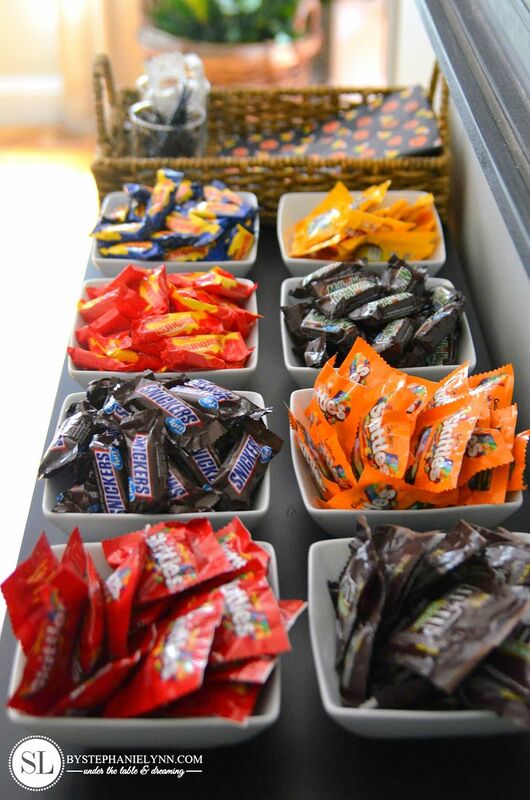 A candy bar filled with a variety of Fun Sized favorites, including SNICKERS®, M&M’S®, Skittles®, and Starburst®, was set up for guests to fill their pumpkin jars. 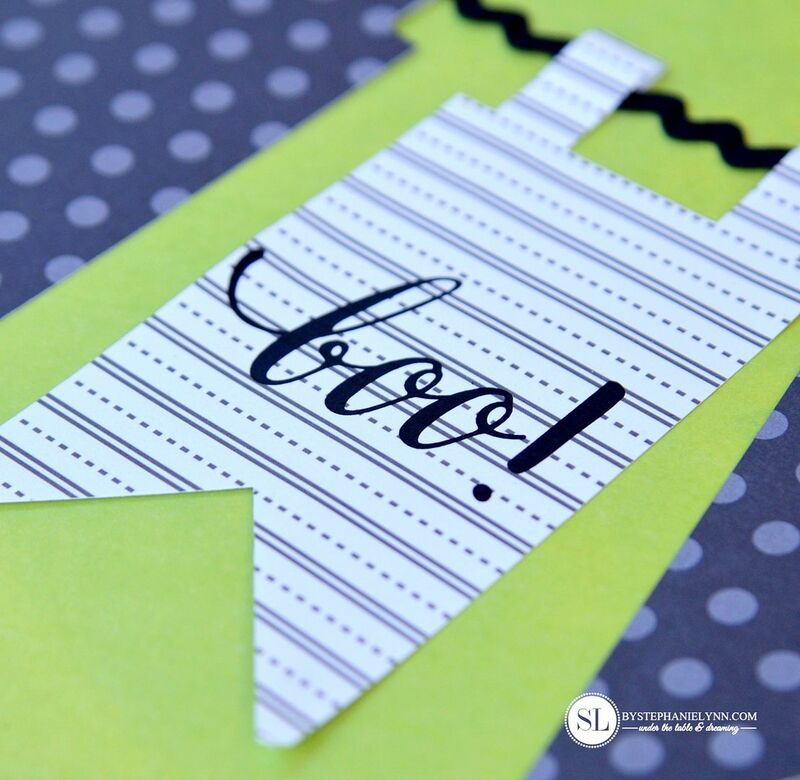 A couple additional novelties were also made available along with decorative American Greetings® tissue paper. 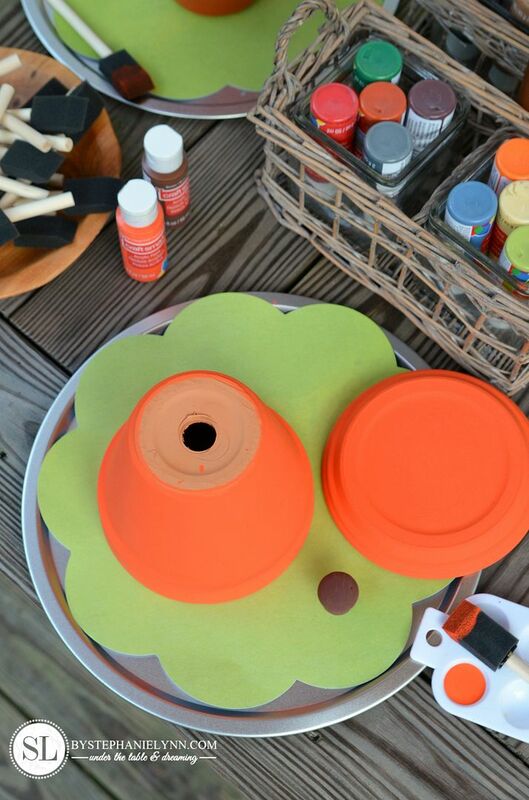 All of the items used to put together this crafting party and BOO Kits were conveniently picked up at our local Walmart, the one-stop shop for building a creative BOO’ing Kit this Halloween. 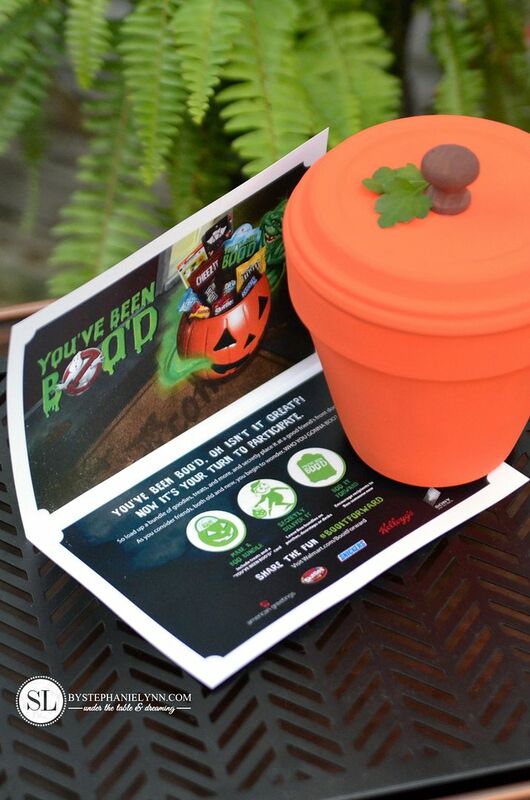 Download and print your own BOO Kit cards at BOOItForward.com and gear up for Halloween with the upcoming release of Ghostbusters® – available in stores October 11th – with specially marked stands promoting the VUDU digital copy. Copies can pre-ordered on Blu-ray or DVD now! For additional ideas and inspiration, check out Walmart.com and grab all of the essentials to assemble a BOO’ing bundle at home this season! Who will you be BOO-ing this season? Get into the Halloween Spirit and enter the BOO It Forward Sweepstakes for a chance to win a $500 Walmart Gift Card! Thanks for boo template, appreciate so much. Candy jars are so doggoned inventive and especially cute. Going to make couple of those. 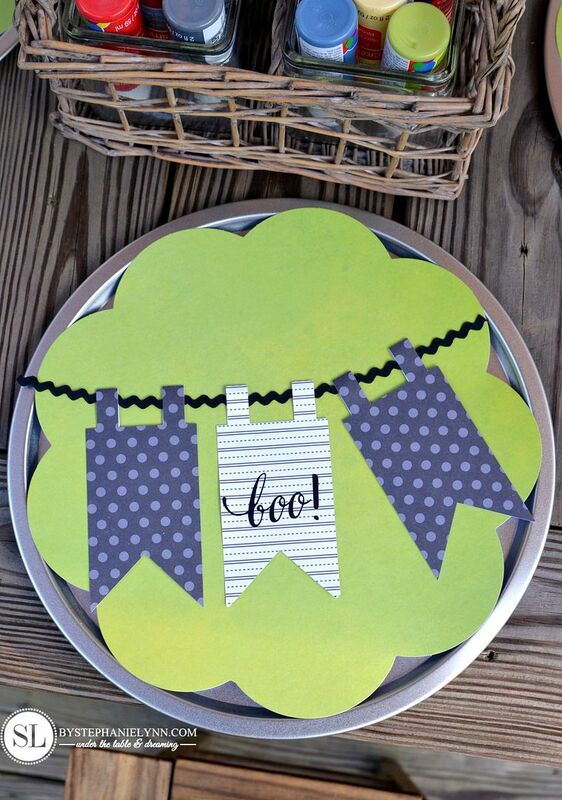 What a cute idea, have heard of being boo’ed but not aware of it happening here. Great post and projects.